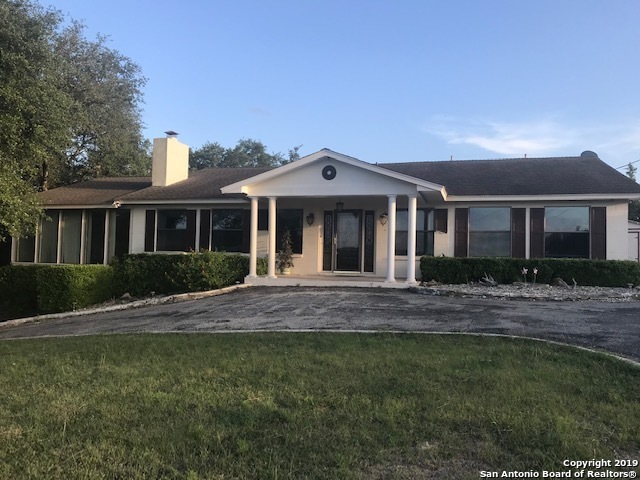 All Blue Water Estates homes currently listed for sale in Canyon Lake as of 04/20/2019 are shown below. You can change the search criteria at any time by pressing the 'Change Search' button below. "Lakeview home on over 1.57 acres with lots of space and storage. Top notch location in an area of beautiful homes. Seller is negotiable and flexible. Very livable but personal taste might desire some changes and updates. Come see for yourself. The house is now sparkling with open living awaiting the new buyers decorative touches. View the new photos"
"OPEN HOUSE SALE THIS SUNDAY, MARCH 31st 2pm-5pm!! COME VIEW AND OFFER THIS SUNDAY! UP TO 20,000 PRICE REDUCTION THIS SUNDAY CALL! A great deal in Elmendorf 1/4 Acre 6 bedroom with 3 baths and plenty of space! Ready for a new owner with some TLC, property has great land and storage! Home has two storage units and two four-car carports that come with the home! NO restrictions or HOA! call today for a showing!"